Dental Care Woodbury: What’s The Deal With Fluoride? You probably know that fluoride is meant to protect your teeth how exactly does it do that and does it actually work? There are many misconceptions about fluoride and whether it is even a necessity for someone to have healthy teeth. This has been widely debated by those in the dental industry which has led to many people remaining unsure of whether fluoride is needed or not. Fluoride is a naturally-occurring mineral that is found the Earth’s surface. It has proven to make teeth stronger and prevent tooth decay in small doses, which is why dentists continue to provide fluoride treatments for their patients when they come in for an annual check-up. However, this is not the only way people get fluoride. Many people get fluoride regularly by drinking water or using toothpaste that already contains it. You can also get fluoride by ingesting certain foods like milk, eggs, red meat, fish and yams. While these foods have a very minimal amount of fluoride in them, they are all great ways to introduce fluoride into your diet so that you can keep your teeth healthy for years to come. If you are still unsure if fluoride is right for you, or you simply want to know more about it, call Corsi Dental Associates today. We can give you all the information you are looking for in regards to fluoride and how it can make your smile healthier. 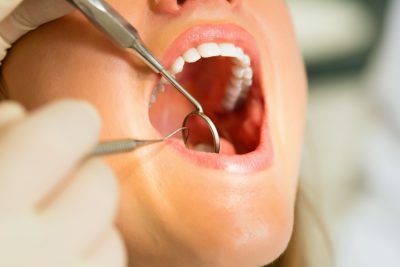 We are Woodbury’s most trusted dental office. Let us get you the dental care you need with the help of fluoride.